With all of our Outdoor All Weather Wicker Sectionals you will find high style with extreme comfort. . Boasting a cutting edge design, yet still keeping a traditional tone, all of our vibrant outdoor wicker furniture far exceeds top quality from a top named brand. The outdoor wicker sectional sofa is constructed with highest quality polymer resin woven wicker (Viro Fiber) that is completely weatherproof. The wicker is available in color choices of Prussian Dark Bronze, Graphite, or White Washed. 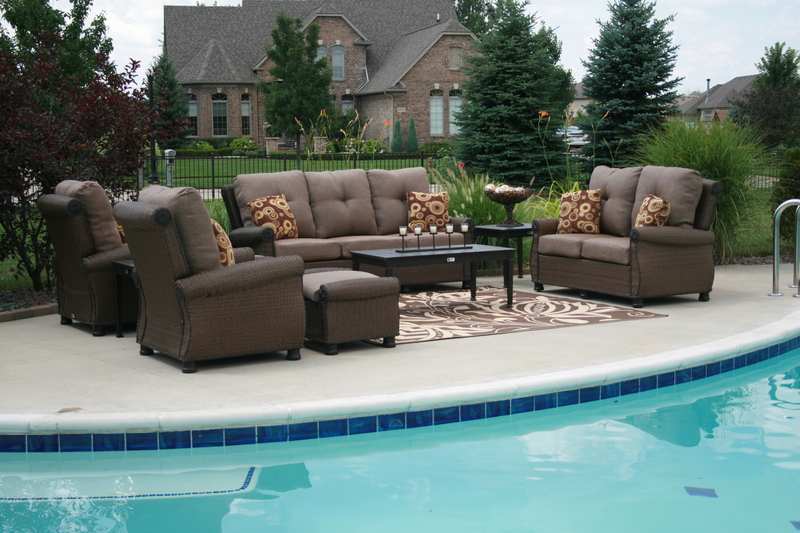 The cushions are made with quick drying exterior foam and are covered with Sunbrella fabric which is extremely resistant to moisture and colorfast against sunlight. Great quality and a great look in the great outdoors. 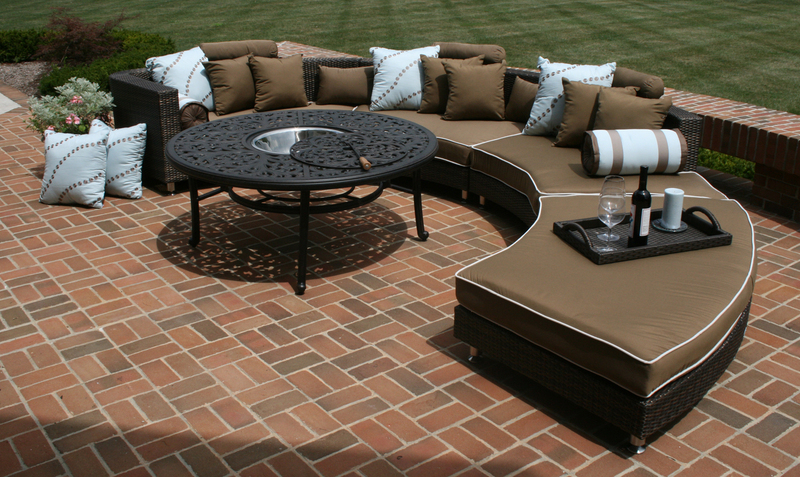 Don’t be afraid to keep this transitional wicker sectional outside on the patio or back deck. The Palmetto Collection all-weather wicker sectional is premium quality that can take the elements and cleans up nicely, too. The cushions loose fill with fabric wrap interior allows water to pass through harmlessly, and the outer Sunbrella fabric dries quickly, resists fading, and is easy to clean. This sofa is top quality, and is built to stay that way. It’s a high-end indoor look tough enough to keep its quality even in the great outdoors.